How do I Exercise During Pregnancy? There are a few questions I get asked over and over in my childbirth classes. “How do I exercise during pregnancy” is one of them. Mamas want to know how to stay fit, how to get fit, or just how to feel great. This focus on fitness is a good thing. Though many moms find their thoughts center on controlling weight gain, that's not the true benefit of exercise during pregnancy. The first benefit is, of course, feeling good as you grow your baby. But the real benefit is the gentle toning of your body and the preparation for birth – which is a physical event. It can, and should, even be considered an athletic event, where strength and endurance benefit all births – from the fastest to the most leisurely. Your routine doesn't need to be fancy. It doesn't really even need to vary, though you're welcome to change it up. You can start with the simplest of steps and work your way up. This is especially important if you're not used to regular exercising, and I'll talk more about that below. If you'd like the company and motivation a class can bring, then go ahead and sign up for one on the level you're at. The bottom line is to pick what works for you. Sometimes I think moms want me to lay out a step-by-step, prescribed routine. But that's not the way to go. 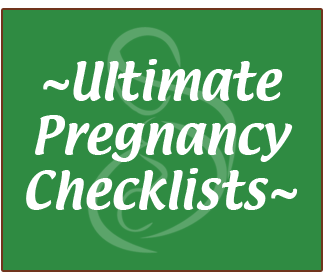 Pregnancy is an excellent time to pay attention to your body and listen to the cues it gives. You can probably push yourself a little bit, but you need to pick something that works well for you – even if it's different than what works for another mom. As I mentioned above, you should start small if you're not used to exercising. A simple walk, even to the mailbox, is a great place to begin. You can gradually increase the time you spend walking. When I say “walking” I mean just that. An easy pace that works for you – no power-walking needed! If you feel like a brisk hike through the hills of a nature preserve, take that. If you'd rather amble around the neighborhood at the speed of your toddler, go for that. It's helpful if you build up to a new routine gradually, especially if you're following a DVD or online course. Throughout all of this you need to pay attention to your body. How are you feeling? This is really most important for you mamas who are already enjoying an exercise routine. I know we applaud professional athletes who keep sprinting and lifting right up until their due date. But consider how the intensity of exercise affects you and your baby, especially as your joints naturally begin to soften and loosen through pregnancy. You may feel great during pregnancy, but postpartum you realize that “wear and tear” was a bit more than you were expecting. Listen to your body, especially as the hormone relaxin works on your cartilage and tissues (second and third trimesters). This softening is a blessing because it prepares your pelvis for birthing, but it also affects the rest of your body. Another thing to pay attention to is tension and relaxation. That's a topic that can fill a whole series of articles (and I cover it extensively in my MamaBaby Birthing classes). But in short, relaxation is very important during birthing – especially in your pelvic muscles, thighs, and gluts (bum muscles). You may have ignored this area previously, because as women the tradition has been to think these “intimate” areas are somehow shameful. Body weight, periods, etc. can make you want to block your body out even more, especially down there. But that's where baby comes from, and you want to be as relaxed and soft as possible when that happens. So as you exercise, pay attention. Exercise often builds tension in the muscles. Some practices, like yoga, also encourage relaxation awareness, which is why I recommend something like that as at least part of your fitness routine. But many just emphasize strength, endurance, and/or intensity. Those aren't bad things, but make sure there's balance. Practice relaxing (not just stretching) your body. Tension is a good place to start because it gives you a counterpoint to fully understand relaxation. I especially encourage you to emphasize relaxation as you move into your third trimester and closer to your birthing day. There is no doubt that mamas benefit from having endurance, healthy circulation, and healthy lung capacity during birthing. The benefits are obvious in a longer birth, where mama has to keep working with her baby over many hours. But they're also important for quick births where things get really intense and the tendency is to tense up and hold back. A good fitness routine conditions you to handle labor no matter what kind of birthing day your baby needs. Though it's good to start slowly, getting yourself moving, and getting your heart going, really helps bring these benefits. Remember what I said above about listening to your body. That's always important. Once you're in-tune with yourself, you can enjoy getting up and getting your heart going, even during pregnancy. My favorite has always been prenatal belly dance, or a brisk hike. Since I usually get asked, the belly dance DVD I use is: [raw]Dance of the Womb: A Gentle Guide to Belly Dance for Pregnancy and Birth[/raw] – it also includes Maha's beautiful home birth (she dances through much of labor). The spiraling motions that are part of belly dancing also come very naturally in labor. They help baby do the turning he or she needs to do within your body, and they help you move the energy of contractions out! But belly dance isn't the only option. I have had several students recommend Karyne Steben's [raw]The Perfect Pregnancy Workout[/raw]. There are many options to feel the energy of a good routine, so read reviews and pick what you think will fit your style. Remember, again, to listen to your body, and to bring relaxation in as a counterpoint to tension. Of course it's important to enjoy your routine! If you're dreading it every day, find something different. The Internet brings blessings because you can read a lot of reviews and find something that works for you. You may find that a change in intensity can help you enjoy yourself more too. You may need to tone it down (or lessen the frequency). Or you may want to add in something more challenging. Different things may suit different days. A gentle yoga routine might be great two days a week, balanced by higher-intensity workout two more days. A gentle hike with your dog or a walk with your toddler can work for three other days in the week. As you can see, you can really tailor this to you, your body, and your baby. Don't forget – pregnancy and birth include someone else! Your baby! Prenatal exercise is a good time to focus on your baby, thinking of him or her, and talking to him or her (don't worry, you don't have to talk out loud). Many moms feel they don't have a lot of time to focus on the baby. There's focus on preparations and “baby stuff.” But not baby. This may be especially true if you have older kids or work outside the home. Your prenatal exercise time is perfect for this. Many instructors actively encourage you to take time think about, talk to, and touch baby. Follow along with their prompts and find times that feel right to you to connect with your growing little one. I've shared before that I struggled with deep depression during my fifth pregnancy. I started using Maha's belly dance DVD around 20 weeks and it made a huge difference for me. Not only did it increase my energy and well-being, but Maha's gentle encouragement to focus on my baby helped me to feel connected to Honor. I also had more of an appetite – and that was a true turning point in that pregnancy. You can experience the benefits of that connection with your baby (hopefully without the blues that I had!) during your own routine. Find what works for you, start slowly if you need, connect with baby and enjoy your pregnancy! !